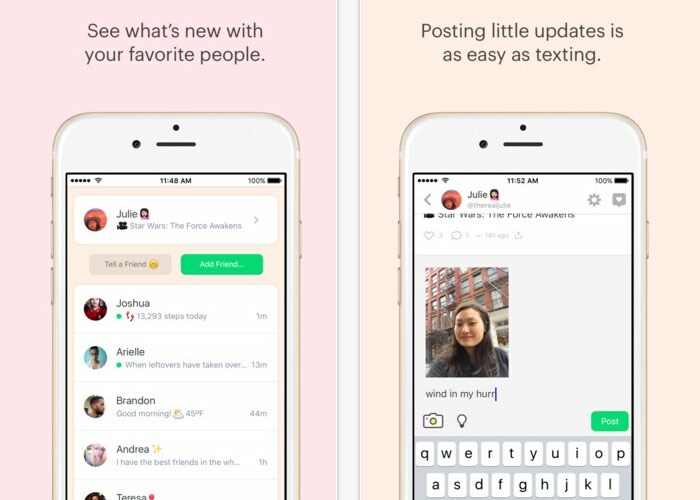 Dom Hofmann, the founder of Vine has this week unveiled a new social application has created by the name of Peach, which has been designed to provide a fun and simple way to keep in contact with your friends yet still allow you to “be yourself”, says Hofmann. The new Peach app is now available to download from the iTunes iOS App Store for free, and shares tiny updates with your friends as you go through your day, also posting an update to it is as easy as texting, says Hofmann. Posting is as easy as texting—with a twist. Some words are ‘Magic Words’ that give you quick access to fun and insightful things to share. On Peach, a little says a lot. Easily share pictures, looping photos, videos, and links, along with GIFs, the weather, your current location, what you’re watching tonight, how many steps you walked today, and much more. – Need inspiration for what to post? Tap the lightbulb for new ideas every day. – Let someone know you’re thinking of them by sending a wave, slice of cake, 100, boop, kiss, hiss, and more. – Use the magic word “shout” to write a few words (+ emoji) in BIG letters on a background color. – Use “draw” to post a doodle or sketch. – Use “song” to share whatever’s playing right now. Friends can tap on the song to open it in Apple Music or Spotify. – The magic word “rate” lets you give anything—anything!— a 1-5 star rating. – Other magic words: gif, here, goodmorning, goodnight, battery, weather, move, meetings, safari, dice, time, date, movie, tv, and game. With more on the way. Peach is just getting started. We read every review to make Peach better for you. Stay tuned for more! Jump over to the iTunes App Store for more details and to download.